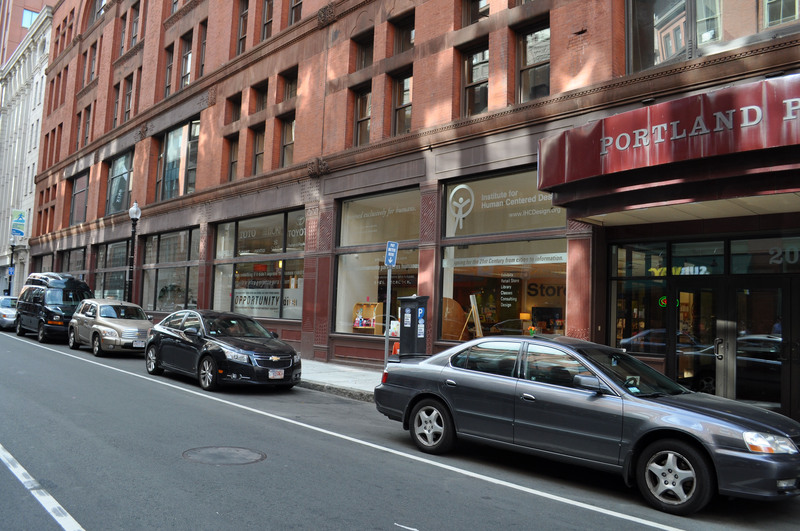 IHCD headquarters are in the old West End, now called Downtown North part of downtown Boston. It is very near TD Garden and the North Station MBTA and Commuter Rail stations. IHCD has over 100 running feet of window at sidewalk level. We have quotes about inclusive design in seven languages. You will enter IHCD immediately off the recently renovated building lobby to the left, on the first floor. Exit at the front of the station to Causeway Street. Turn left on Causeway Street (the Boston Garden is on the other side of the street). Go three short blocks and turn left onto Portland Street. The entry to 200 Portland has a large maroon canopy over the sidewalk. There is a 7-11 convenience store on one corner and a large Bank of America ATM location on the other corner when you get to Portland St. There is a Subway Sandwich Shop directly across the street from IHCD.